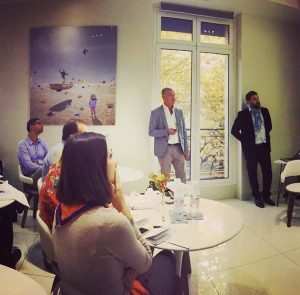 I was fortunate enough to recently attend an excellent course at the world famous Champs Elysee clinic in Paris, France. The course was entitled “Facelift with the Masters” and provided a wonderful opportunity to learn from the French experts who have been refining and improving their facelift techniques over the last 20 years. The Clinic has an exclusive client list of the rich and famous and has an excellent International reputation. The faculty consisted of Patrick Baraf, Dr Bernard Cornette De Saint Cyr and Jean Claude Dardour. 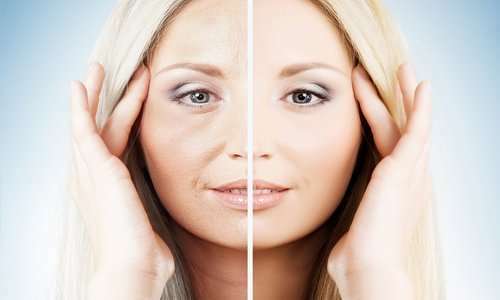 Between them they have a wealth of experience in facial rejuvenation techniques and they have all developed their own individualised approach to the different issues that the ageing face can present. 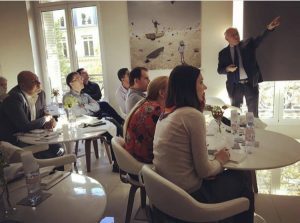 The course was held in the Clinic, which is located just off the world famous road called the Champs Elysee, in the centre of Paris. The clinic is in a beautiful old French style building which has been modernised to the very highest standards. They have fully invested in their teaching and training which is always a good sign of a reputable clinic. They have a dedicated lecture hall and the first day was spent listening to each of the surgeons discuss their different approaches to facelifts and the refinements that they have developed in order to provide the optimal predictable results with the minimum of down time. Patrich Baraf is a long established surgeon who has trained in the USA and has been in practice for over 20 years. He presented a very interesting way of improving the first step in any facelift and that is the elevation of the skin. This is something that has to be done very carefully as the skin is very thin and therefore if not treated carefully can bruise and swell. He beautifully demonstrated during a live surgery session how he uses injections of saline and adrenaline to safely elevate the tissue planes and minimise bleeding. Then with great elegance he showed how he raises the skin quickly and with minimum dissection. He states that he aims to be able to take his patient downstairs to the restaurant the following day and have breakfast with them without anyone being aware they have had a facelift as he claims this minimises the normal swelling and bruising that the operation normally involves. Dr Bernard Cornette De Saint Cyr has extensive experience in redo facelift patients and this presents different challenges from the first time facelift. He discussed how scars can be hidden within the hairline for a first facelift but this has the effect of elevating the hairline and so we cannot do this for a second facelift and so it is necessary to adjust the incisions and place them along the hairline . The incisions are initially visible but they fade over time and prevent the surgeon from over elevating the hairline. He also demonstrated a very elegant and simple method of elevating the mid face while performing a standard face lift. The mid face can be very difficult area to address with a standard facelift and he showed how he uses a very small incision to access this area and then lift the tissues off the cheek bone in order to improve the under eye region. This mid face is traditionally not dealt with a standard facelift and so this is a very useful and safe technique. He also showed how as we age we tend to develop a longer upper lip and that this is an area which is often overlooked in assessing the ageing face. He demonstrated how to asses this area and showed his technique of upper lip shortening which a utilises an incision that is beautifully hidden in the creases of the nose and can produce a very youthful pout to the upper lip that enhances the overall effect markedly. Dr Jean-Louis Goin also presented his extensive experience with fat grafting. In recent years the thinking has changed in facial ageing and we now know that the face not only descends in time but also deflates and so the correct analysis and approach involves both lifting and replacing volume. Fat grafting has been around for many years but in this lecture we learned how there have been a number of recent discoveries about different fractions of the fat that is harvested and how this can be employed to rejuvenate the skin and replace volume. In some cases a facelift is not needed and fat grafting alone is able to achieve a harmonious rejuvenation. The second day was spent practising and watching the experts dissect in the anatomy lab at the medical school in Paris. This really helped to visualise the nuances of each procedure and how it is done by the masters themselves. It was a pleasure to visit Paris for the first time and the course also provided an opportunity to see the main sites of a truly beautiful and vibrant city. The Eiffel tower dominates the landscape but a trip to the Musee D’Orsay was truly incredible, allowing us to see so many inspiring impressionist art works and many masterpieces by Da Vinci and Renoir all in one place. This served as further inspiration and motivation as never before have I seen so many world famous works of beauty and skill all together. The last day was all live surgery and this was managed very well with a live link to the theatre and the surgeons taking questions from all the attending delegates. It was a privilege to meet and learn form these very experienced but still humble surgeons and to talk to the attendees who came from all over Europe to discuss and learn. As Surgeons, we are constantly refining our skills and using innovative techniques. We all have to learn from each other’s valuable experience and we have to keep up to date so that we can be sure we are constantly providing the very best care to our patients, YOU, at all times. If you would like to find out about the clinic further, then please click here.